Rovio has had it's Pig-centric successor to Angry Birds in the cooker for quite a while now and it seems the game is nearly ready for release! The trailer above will give you a pretty good idea of the sort of game play we can expect to see, but Rovio has promised that Angry Birds and Bad Piggies gameplay will be 'complete opposites". It's a lot more of a puzzle-based game this time and in the same way Amazing Alex is. You will have to build things to complete the objectives. 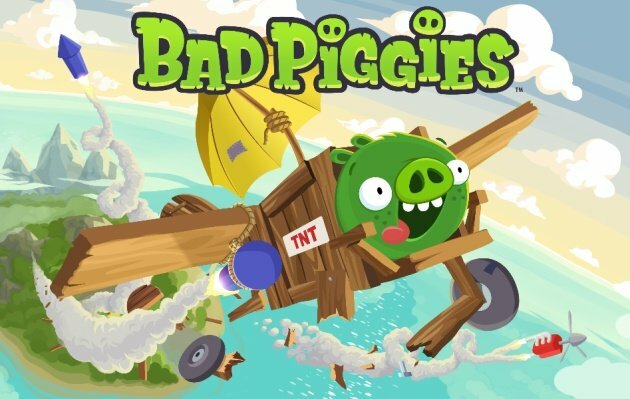 But, it does seem that Bad Piggies takes it to the next level! Again this will have all the animated 2D charm of the previous games, but with the added fun of creating your own unique contraptions to guide the pigs through levels, collecting as many stars and eggs as possible! If you need a new time killing game then put Thursday, September 27 in your diary! The app will be available on Android and iOS on that date and Windows Phone and PC are currently being worked on, but we don't have a release date for those at the moment!